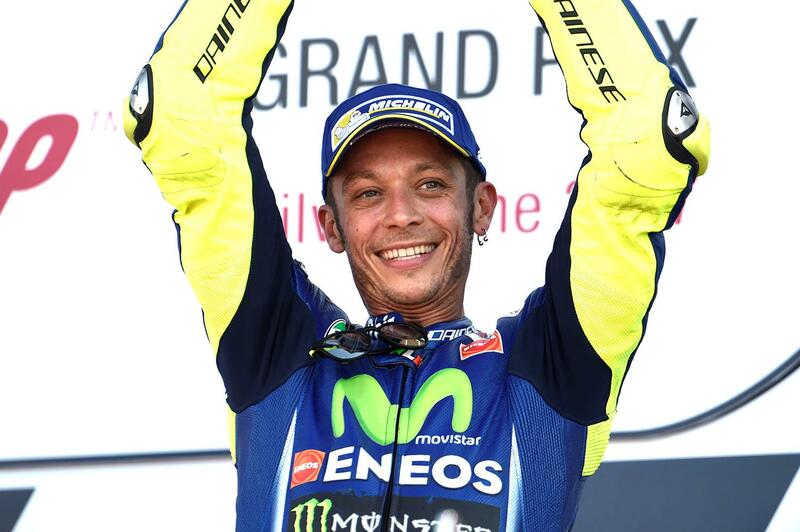 Nine-time world champion Valentino Rossi has suffered a broken leg in a training fall this afternoon, breaking the same leg he broke in 2010 while riding enduro with his VR46 Academy riders. The Movistar Yamaha rider is reported to have broken both tibia and fibula in the crash, and will undergo surgery tonight to have the injury repaired. The crash marks the second time this season that he's been injured in a training fall, after going into the Italian Grand Prix in May suffering the effects of rib injuries serious enough to see him spend the night in hospital. However, if the broken leg is confirmed it could be considerably more serious, most certainly delaying any hopes he has of lighting a tenth world title in 2017 despite being only 26 points off championship leader Andrea Dovizioso after twelve rounds.